All three of these services are integrated in the sense that the creative process, from publishing (Editorial Illustration) to displaying in urban settings (Street Art) and learning (Workshops) enhance and inform the importance of art as an essential and noble undertaking. I am available for Editorial Illustration assignments for traditional print and electronic (web) media as well as menu and collateral art design consultation for the restaurant and hospitality industries. Street Art is a concerted effort to enhance urban streetscapes by temporarily filling empty commercial windows with original art printed on durable all weather vinyl. This is often an enhancement to the property as well as a creative inducement for prospective retailers and their representatives to notice available space. I work closely with both building owners and municipalities to insure compliance to code while upgrading the appeal of their vacant property. The sale of reprints benefits area Arts organizations as well as artists interested in adding their images to the library available to prospective clients. 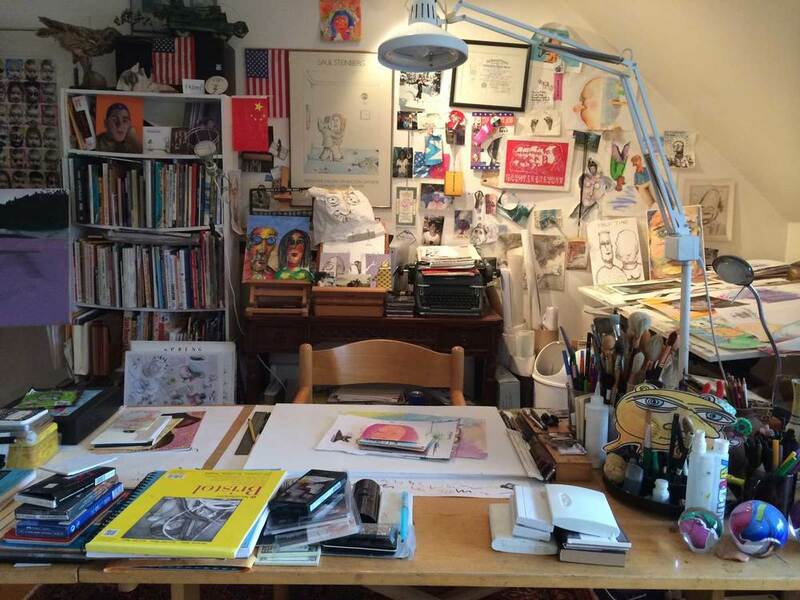 Spontoonist Workshops can be either public or private sessions of between 2 and 32 people held in schools, community centers or in my home studio. In these sessions I teach the fine art of doodling and it’s importance to the overall learning process. For more information regarding any of the services currently being offered please contact me and lets begin the conversation! Copyright © Plotkin Art / Jonathan Plotkin. All Rights Reserved.